The participant is in good health and has their doctor's approval to participate in the classes requested. 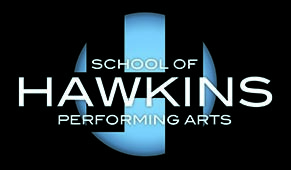 I acknowledge the Hawkins School of Performing Arts will not be held responsible for any injuries resulting from participation in the school, on or traveling to and from the studio premises, participating in dance recitals, competitions, benefits, or other performances, or participating in other school events. I authorize the Hawkins School of Performing Arts to, acting as my agent in my absence, consent to X-Ray examination, anesthetic, medical, or surgical diagnosis or treatment; or hospital care which is deemed advisable by and is to be rendered under the general or special supervision and upon the advice of any physician and surgeon licensed under the Medicine Act, whether such diagnosis or treatment is rendered at the office of said physician or at such other location as may be deemed prudent. This authorization is given pursuant to the provisions of Section 25.8 of the Civil Code of California. Hawkins School of Performing Arts has my permission to use class, recital, competition, or other studio function photos of my child for publicity purposes.